Home » News archive » HYPERION: Ne…m." HYPERION: New Videoclip for "Ultimatum." 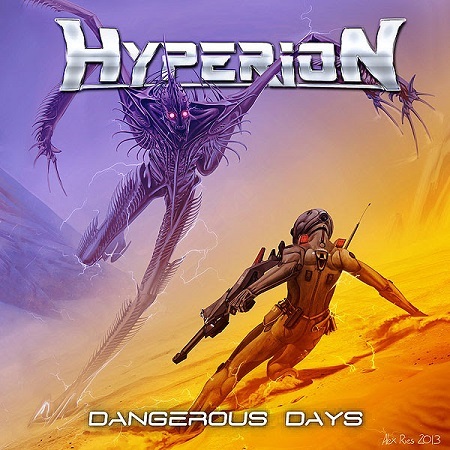 Today, 22nd of November, is the 1st anniversary of italian Heavy Metal band HYPERION's debut album "Dangerous Days" and they've decided to celebrate it by releasing a video-clip with live footage from the song "Ultimatum". You can see the band on stage while enjoying this killer dose of pure Metal!! "Dangerous Days" contains 8 songs (45 min.). Production and mastering were assembled as to recreate the pure, classic, typical Heavy Metal sound of the 80's in the vein of bands like JUDAS PRIEST, ANNIHILATOR, IRON MAIDEN, METALLICA, MEGADETH… Cover artwork for "Dangerous Days" was painted by australian artist Alex Reies who originally entitledit "The Lord and the Colonel".